4.5 cubic foot front load washer with Steam Wash (uses power of steam to remove stains without pre-treatment) & VRT Plus Technology - Reduces vibration for quiet washing. 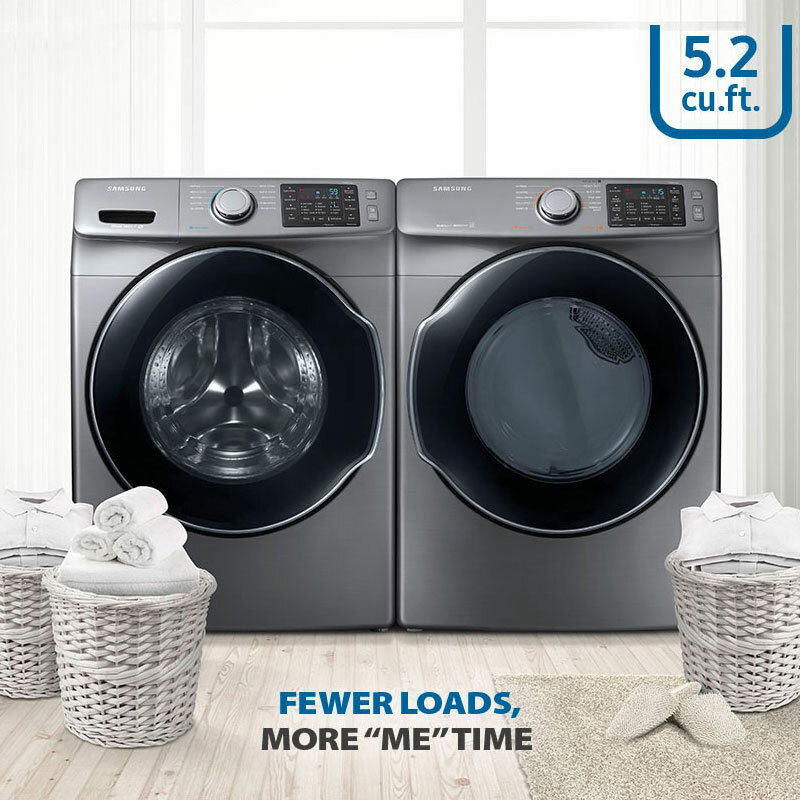 7.5 cubic foot electric dryer with multi-steam technology. Steam away wrinkles, odors, bacteria & static. This dryer is also energy star certified, meets energy efficient specifications and standards.